Meisser Economics is a research boutique founded by Luzius Meisser, computer scientist and economist. My vision is to build bigger, better, and more versatile economic models by leveraging methods from modern software engineering. Today, most economic models consist of a system of equations. They are fundamentally mathematical and solved analytically or numerically. In contrast, agent-based models are fundamentally algorithmic. Their buildings blocks are stateful, encapsulated agents that interact with each other through open markets. They are solved by running them. While the cleanest way of specifying equation-based models is to use mathematical terms, the cleanest way of specifying agent-based models is source code. Accepting this view, the code becomes the model and all the tools of modern software engineering can be leveraged to work on it and to manage its complexity. Meisser Economics has bought a few crypto francs in November. While I believe that stable coins will be an important future pillar of the blockchain economy, the crypto franc is not very useful yet. In particular, it would be desirable for it to be tradable by smart contracts. That means that smart contracts should not only be able to send crypto francs around, but also to buy and sell them when necessary. Thus, we need a smart contract that acts as a market maker. Uniswap provides such smart contracts out of the box, using constant product market making. Market making is one of the research areas of my phd, so I’d like to test it out myself by providing some liquidity on Uniswap and see what happens. However, before doing so, I wanted to quickly assess whether this is legal to do. In finance, one never can be sure about whether the most basic activity requires a license as the regulation is extremely dense. Every now and then, I get invited to speak at a conference. 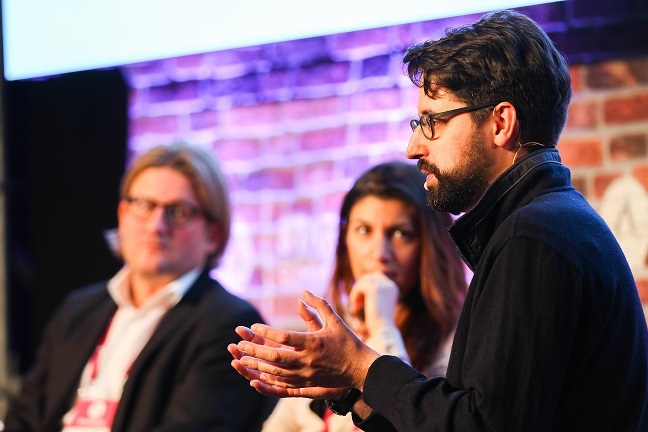 This year’s highlight so far was the Start Summit in St.Gallen, where I had a nice panel discussion with Daniel Gasteiger from valid Valid and Mona El Isa from Melonport, both blockchain startups. These are interesting times with a lot going on. Will Switzerland keep its competitive edge in the crypto space? In Switzerland, the capital gains of private citizens are not taxed. Instead, there is a moderate wealth tax. I always suspected that this is the preferrable system in comparison to that of other countries that do the opposite. The main reason is a systemic one: with a capital gains tax, those who use their capital most productively, most notably successful entrepreneurs, pay the highest taxes. With a wealth tax, much more tax revenue comes from lazy rich who sit on idle capital without knowing what to do with. The result is a situation in which capital is better allocated and the economy grows faster. Maybe that is one of Switzerland’s success secrets? My article The Code is the Model has been published in the latest issue of the Journal of Microsimulation. In it, I argue that non-trivial computational models are best specified by their source code. This bold claim has prompted two critical replies, one by the editor Matteo Richiardi and one by computer scientist Dan Tang. But most importantly, Matteo has taken the opportunity to adjust the submission policy of the Journal of Microsimulation. In future, authors will be asked to submit source code and executables along with their papers. This is a big step forward, and I hope that more editors will follow Matteo’s lead. After having been published “online first” last summer, my 2015 paper An agent based simulation of the Stolper-Samuelson effect” has finally been formally published by Springer, on paper. This was somewhat faster than what John Cochrane experienced recently, but unlike him, I did not send my paper to a top tier journal (because it is not a top paper). Nonetheless, this confirms Cochrane’s point that journals should be seen as an archive of scientific research, and not the place to look for the latest ideas. Finews is listing me in their who is who of Swiss crypto finance. Thanks! Today, the top post of hacker news was an artificial intelligence steering a car in the computer game Grand Theft Auto V. This is a great illustration of the power of simulations: even if not entirely realistic, they can provide an excellent test environment - in this case for testing the Deep Drive self-driving car AI. Today, Neue Zürcher Zeitung published my comment about the blockchain as an opportunity for Swiss finance. The paper “An Agent-Based Simulation of the Stolper-Samuelson effect” got accepted for publication in Computational Economics. Originally, this was a term paper Friedrich Kreuser and I wrote for the course Computational Economics and Finance by Karl Schmedders in spring 2014, and that I presented at CEF 2015. 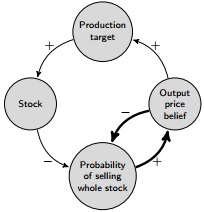 The paper is about replicating a well-known phenomenon from classic economic theory, namely the Stolper-Samuelson effect, in an agent-based simulation. We succeeded at doing so with high accuracy thanks to the adoption of a few new algorithmic ideas. Interestingly, the agent-based simulation is much faster at finding the correct result than Mathematica or Matlab can solve the corresponding equation system from the classic theory. You are a world-class economist with an excellent academic track record and you have concrete ideas for leveraging agent-based simulations in your area of expertise? You want to simulate what the world would look like if we introduced basic income, joined/left the euro-zone, or adopted other political ideas given your assumptions? You want to simulate the price dynamics resulting from the interaction of a heterogenous set of agents with known but non-trivial behavior in a financial market?